Mulberry School provides an opportunity few other schools do – the opportunity for parents to become intimately involved in their child’s education. And with good reason; studies have shown that “parent involvement” is one of the major determinants of a child’s success at school. At Mulberry School, teachers and parents work together to help children discover and develop strengths – their own. And each other’s. The small class size of 10-12 children enables the certified, experienced teachers to spend quality time with each child. Yes, the curriculum meets state standards. But we go beyond the standards by exposing each child to a variety of creative activities within the sciences, art, drama, language and music. Looking at children as individual learners and celebrating their strengths leads to greater self confidence, stronger self concepts and ultimately more academic success. Mulberry School came up in many conversations with colleagues and friends who talked of it as a very special place. On our tour of the school, we were struck by the vibrant artwork on the walls, the enthusiasm of the teachers, and the abundant evidence of exploration and experimentation – data on weather, acrostic poems, a storytelling wall. It is an inviting and electric atmosphere; a place that deeply supports the school’s goal to “nurture the innate love of learning”. This goal resonates strongly for us. We want our children to learn in an environment that values their curiosity and creativity, celebrates the process of investigation and discovery, and respects the individual child’s needs. We also share Mulberry School’s core philosophies of open discussion, the value of individual differences, and a stereotype-free atmosphere. We practice these at home and feel they are vital in developing confidence and compassion, qualities that are good for our children and the larger communities in which we live. 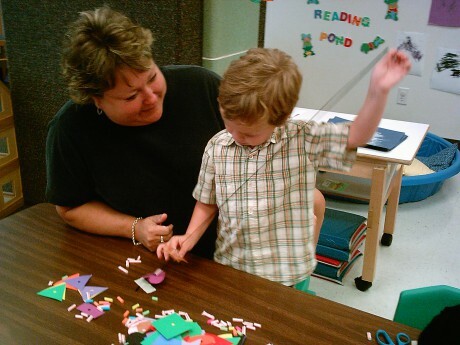 We are also enthusiastic about the collaborative efforts between parents and educators. We value the educators’ expertise and are eager to contribute where appropriate with our own skills. Education is not compartmentalized in one part of a child’s life. An environment that facilitates a meaningful conversation between parents and educators is one that seems in the best interest of young learners. Our family came to Mulberry seeking a small school environment where our children could explore learning with freedom that larger schools cannot offer. In the multi-age class at Mulberry our children are allowed the time and space to follow their inquisitive nature where it leads them. The teachers structure and guide learning while leaving room for students to explore outside the box. As members of a multi-age class, our children had the rich experience of working within a variety of groupings: acting as tutor to younger peers, acting as tutee to older peers, and working with a mixture of ages and skill levels cooperatively to solve problems as a team. We also appreciate the spirit of a parent cooperative. Parents are always present in the school and often share their diverse gifts in the classroom; students are offered poetry from poets, music from musicians, science from scientists. We can’t say enough about the school, the teachers and the families that make up Mulberry. We live out of town and the public school schedule didn’t accommodate our jobs and our desire to be active in the kids’ education, so we needed to find a private school in Bloomington/Normal. After much review and many tours of the alternatives, we enrolled our first daughter in the multi-age classroom. We noticed an immediate improvement in her vocabulary, articulation, grasp of concepts, and overall ability to learn. Plus, she loved it and looked forward to going to school every day. This year we have both our children at Mulberry, and are constantly amazed at the breadth and depth of the experiences they have there. We have delightful family conversations and the kids teach us what they’ve learned in ways that are creative and innovative, a true reflection of the Mulberry philosophy on education. It’s been the best decision we’ve made regarding our children, and it’s fulfilling to see them immerse themselves in learning and have fun doing it. In just a year they’ve developed the foundations for learning and love of knowledge that will make them successful and help them meet their full potential. Mulberry is a phenomenal school, and we will always be a Mulberry family and supporter. Mulberry has provided a great transition for my daughter into the schooling system. It was very hard for me to drop her off her first day when she was just 3. I realized almost immediately, though, that there were many people to love and care for her. I do believe that it takes a village. All of the teachers, not just the one in her classroom, took an interest in her, always saying hi and asking about her interests. I also love the involvement of the parents. She has received encouragement and love from all of them. Since being at Mulberry, my daughter exudes self confidence. She loves learning and doing activities. She is excited about school. As she enters kindergarten next year, I know that she will be prepared intellectually, socially and emotionally to succeed from day one. When the time came to enroll our oldest child in preschool, there were lots of options available to us. My husband and I visited many of these institutions, and I have to admit, the new facilities were quite impressive. Still, I insisted we also visit the Mulberry School, the school I attended as a young child. You see, Mulberry School does have something that all of those other schools seem to lack; it has a community. Teachers, parents and students, all working together with a common goal of providing a rich learning environment that will give the students the foundation they need to succeed, not only in school, but in all of life. I consider myself fortunate to be part of the Mulberry community, both as a student in my youth, and as a parent in adulthood. After a year away from the school, but not away from the community, we’re returning this year with our second child, Ben. We’re excited about watching him grow at Mulberry, and we’re already looking forward to the day when our third child, Elizabeth, starts her Mulberry experience. I realize that by attending Mulberry my children are not getting the newest school in town, but I know they are getting the very best. We encourage you to discover how you AND your child can benefit by being a part of the Mulberry School community. Call us today to schedule a personal tour.